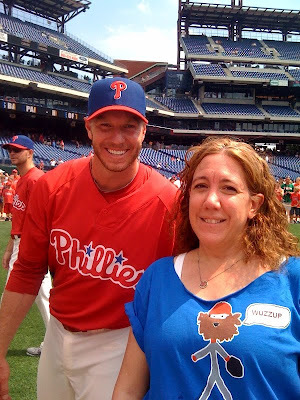 But then, on Saturday, Roy broke even more faces by appearing in pictures with Phillies fans. Fortunately for me (and you), many of said fans happened to be ZWR readers (and patrons). Ryan Madson laughing at Stacy's shirt, which does in fact rule. Ryan Madson thinks I'm hilarious. Ryan Madson hasn't read the softball post. 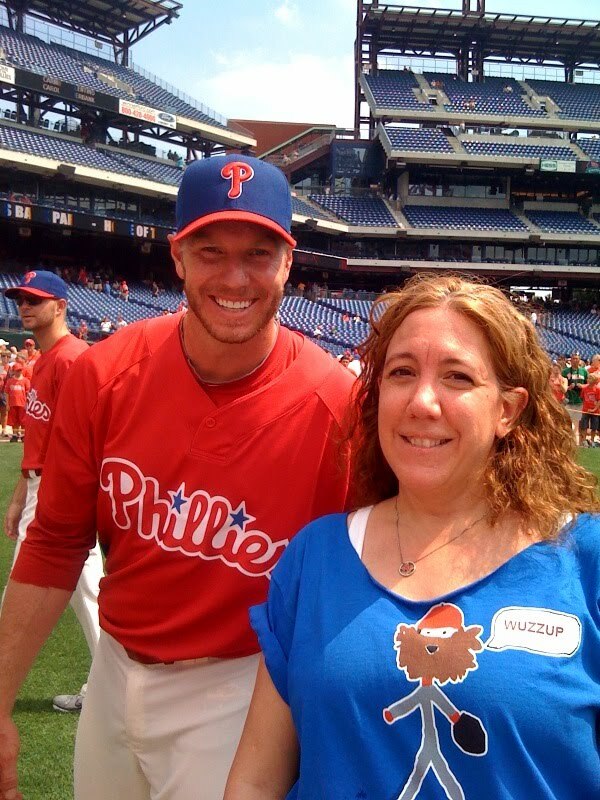 According to Stacy, Jimmy Rollins read the shirt and said, "That's good!!" Thanks Jimmy, I like your work too. The "donkey" in the picture above actually bought the shirt for his wife's (Stacy) birthday today!! By the way section 104 ROCKED (and roasted) on Saturday. More hot chicks in ZWR gear, plz! Stacy's GRowL is nearing Roy's, in my view.